Here at Prime Stables, we know that horse-riding safety is essential. Which is why we sell a variety of safety protection equipment in our shop. 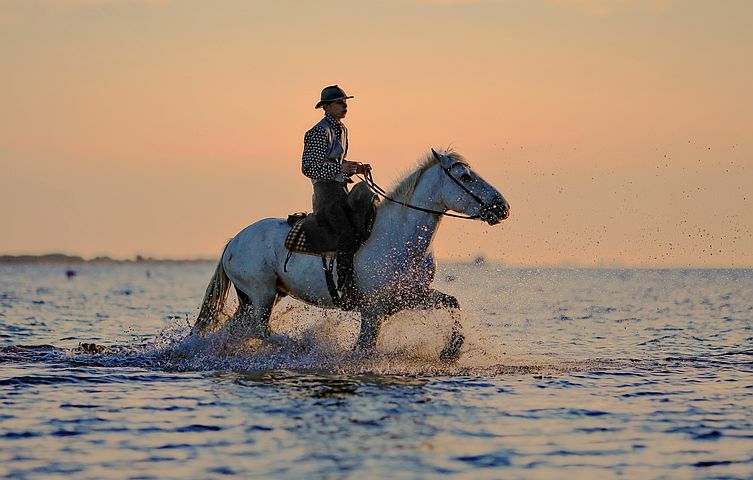 As genteel as horse riding may look, equestrian sports are widely regarded as some of the most dangerous sports to partake in and where knowledge and understanding of correct safety precautions is often essential to survival. It may sound over-dramatic, but a fall from a horse could result in numerous broken bones, fractures or even worse. Quite simply, it is easy for an accident to happen. If a horse’s hoof catches on a jump, the rider can quickly find himself beneath the crushing force of a 1,000-pound animal. However, there is a new product on the market that is rapidly growing in popularity among equestrians as they search for varying ways to improve safety: Inflatable vests. Read on to find out more. Dozens of equestrians are killed worldwide in horse riding accidents. Most commonly, riders found themselves on the wrong end of a rotational fall and the violent crash resulted in the horse somersaulting onto its rider and crushing him. These devastating deaths prompted sports officials to implement new safety standards, including the option for riders to wear inflatable vests. Today, riders are able to wear inflatable vests at every level of competition. Riders wear inflatable vests for the same reason mechanics install them in cars: in the event of an accident, a rapidly deployed airbag can cushion the human body from impact, preventing serious injuries. Inflatable vests are worn by riders to protect them from severe injury if they fall from their horse. The vest, which is worn over a traditional protective vest made of foam, is attached by a cord to the rider’s saddle. When the rider is thrown from his horse, the cord is yanked, puncturing the cartridge of carbon dioxide inside and inflating the vest to brace for impact. The vest can be reuse after the cartridge has been replaced. Manufacturers are continually working on faster inflation times to maximise the likelihood of full inflation before impact in horse and rider falls. The aim of inflatable vests is for them to inflate and reduce the impact of a fall, protecting any exposed areas of the body from damage. Inflatable vests appear to offer protection against fractured ribs and the risk of these damaging underlying organs. Despite the protection inflatable vests offer riders, it is important to remember that they do not provide complete protection against many of the most serious types of injury to horse riders. Most these are head injuries, which is why all riders must always wear a helmet while riding. Inflatable vests should offer protection against direct impact to the back of the pelvis; there may be some partial protection from the side depending on the type of fall. Despite the protection inflatable vests offer riders, people are still sceptical about this innovation and how reliable it is. Due to its expense, many people do not want to invest in an inflatable vest. So, how safe are they really and is it worth the investment? Yes. Studies conducted by the British Transport Research Laboratory proved that inflatable vests improved rider protection by 69% when worn alongside a standard protection vest. When worn, the inflatable vest cut the risk of rib fractures and internal organ damage by 20%. Many riders have been able to walk away from extremely dangerous falls because they have been wearing an inflatable vest. At a competition held in France, Karim Florent Laghouag could walk away from a terrible fall in which his horse somersaulted over a fence thanks to his inflatable vest. His only injury was a dislocated elbow. That is incredible considering that similar rotational falls have resulted in the deaths of numerous riders over the years. Therefore, not only is the inflatable vest worth the investment, it may save your life! Improving the safety for riders has been a priority for many years and the latest research has revealed that inflatable vests have many benefits and drastically reduce injuries in horse-related accidents. Here at Prime Stables, we love anything that helps to improve safety in horse riding and inflatable vests are certainly making a name for themselves. Do you own an inflatable riding vest? Have you found it has improved your safety? Let us know in the comments below, we would love to hear from you!